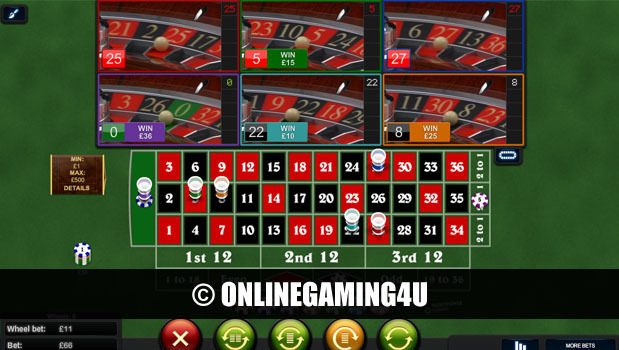 Summary: Multi Wheel Roulette is a top roulette variation with top features and payouts. Multi Wheel Roulette is a European version of roulette with up to 6 wheels in play during a single game round. European roulette is one of the most loved variations of roulette worldwide featuring only 1 zero. Multi Wheel Roulette has climbed on board the ship to produce this fantastic twist on the game to bring even more excitement to the table. 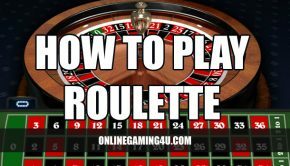 Players can predict where the ball will land as they would with any normal roulette game, however with this multi wheel game you can find several ways to place bets. Choose between 1 and 6 wheels to spin at any one time, giving you more chances to win. If you choose to play 6 wheels and the first wheel doesn’t produce a winning number, you can still win on the second wheel, third wheel and so on. 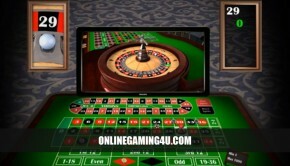 Players are 6 times more likely to win with Multi Wheel Roulette. When you place a bet, your stake is multiplied by the amount of wheels you choose to have active. If you deactivate 1 wheel or more then the stake will decrease. For example; if you are betting with £5 bets and you choose to play 3 wheels, your total bet for the round of betting will be £15. Similarly, if you are using £1 stakes and have all 6 wheels in play, your total stake for a single selection is £6. 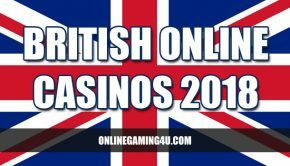 If you choose 5 individual numbers your total table bet for this round will be £30. With Multi Wheel Roulette the possibilities are endless and the game offers massive value for money. Players can win multiple times on the same round of betting. As an example; if you choose to bet on a single number of 32, this has the potential to win 6 times at the same time. Wheels are not restricted to one selection per round of betting meaning you could bet less and win more. Possible scenario; use £1 stakes to choose a single number bet of 2. Play 6 wheels at the same time so the total table bet is £6. If the roulette balls on all 6 wheels land on this chosen number 2, you will win 6 x the amount of winnings.